"India is the cradle of the human race, the birthplace of human speech, the mother of history, the grandmother of legend and the great grandmother of tradition." "Let New India arise out of peasant's cottage, grasping the plough out of the huts of fishermen, the cobbler and the sweeper. Let her spring from the grocer's shop, from beside the oven of the fritter-seller. Let her emanate from the factory, from marts and from markets. Let her emerge from groves and forests, from hills and mountains." "An aggregate or a congregation of men does not make a nation, nor do the geographical area and duration of time quality a society to be known as a nation. A government formed on such basis can be called a state, but not a nation. All the constituents strive collectively for something noble. Service with a spiritual orientation results in man making which is invariably and inseparably connected with nation building. 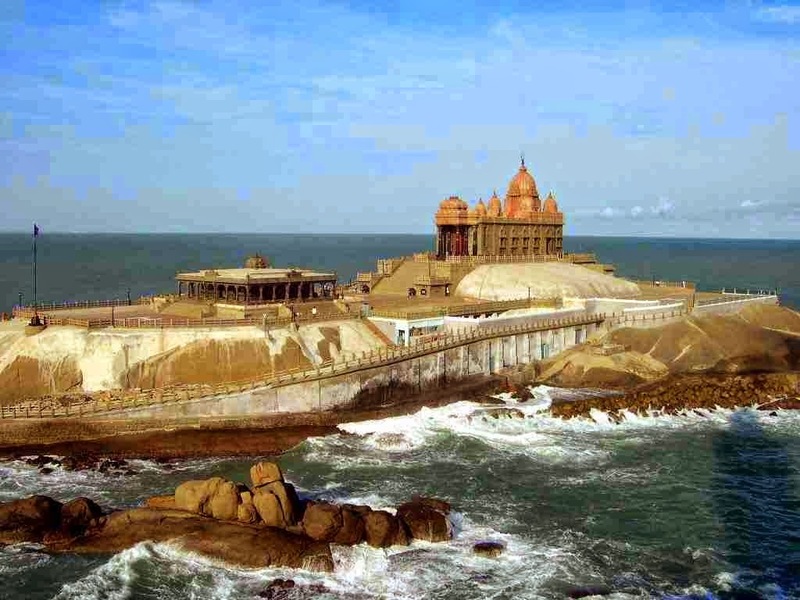 It is the core of all our thoughts behind this organization [Vivekananda Kendra]"
To commemorate the historic meditation of Swami Vivekananda on the mid-sea rock at Kanyakumari on 25th, 26th and 27th December 1892, a magnificent memorial was constructed in the sixties. It was inaugurated in 1970 and has since become a point of National Convergence. Over the years, this concrete symbol of inspiration has drawn millions of pilgrims and inspired them to serve the society. 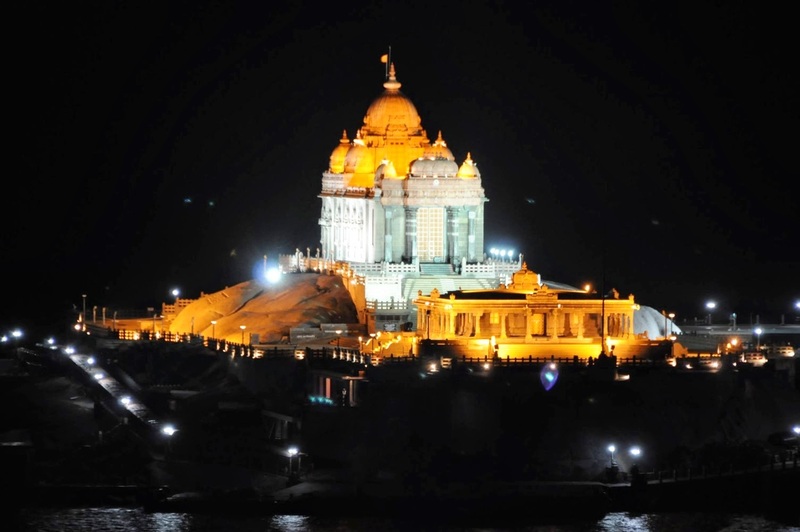 Even as the Vivekananda Rock Memorial was taking shape, Ma. Eknathji Ranade also envisaged a mission that would realize the motto of Man-making and Nation-building. The result was the conception and formation of the Vivekananda Kendra as a spiritually oriented service mission. Vivekananda Kendra reflects Swami Vivekananda's vision of glorious India in action. The Vivekananda Kendra is an eternal call for those who aspire to dedicate their life to serve the nation. It aims at national reconstruction through Man Making. Vivekananda Kendra adopts a methodology unique to it by organising 'Yoga Varga', 'Samskar Varga', 'Swadhyaya Varga' ('Study Circle') and various training camps for Man Making.